How clean is the air that you breathe inside? Potpourri and air fresheners make perfume the air, but if you're using them to hide unpleasant odors rather than to simply accent already clean interiors, it's time to start thinking about de-polluting your indoor environment. Carpets, rugs, upholstery and furniture are necessities, and so is being careful about keeping them clean. Perhaps you're already following a good indoor hygiene routine - you vacuum your carpets your carpets weekly, dust furniture and shelves once a week, and vacuum your upholstery twice a month. Did you know that vacuuming only removes a relatively small percent of the dirt, dust, grime and bacteria that makes its way into your home? Dust particles, sloughed skin, pet dander, hair and pet fur, dust mites, and food droppings are just the beginning of a long list of indoor pollutants that love upholstery and carpet fibers, cushions and pads. There are a few steps you can take to limit indoor pollution. First of all, be conscientious about following a good cleaning regime (as mentioned above). In addition, hire the services of a reliable residential cleaning service - preferably one that specializes in home carpet cleaning, rug cleaning and upholstery cleaning. 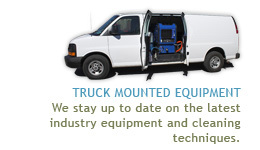 Carpet Cleaning San Antonio, a leader in this field, recommends that you work with a company that uses truck mounted carpet steam cleaning equipment. Aside from being the most efficient technology for removing carpet stains and pet odor removal, steam cleaning does not require the use of toxic chemicals or harsh detergents. When it comes to removing embedded dirt, there is no substitute for professional cleaning. During the steam cleaning process, as jets of steam release carpet pollutants that have built-up overtime on the fibers and at the base of your carpet, high-powered, high-suction vacuums extract all the debris and all the moisture. The result is a clean, fresh carpet that dries in no time. Save all that money you've been spending no air fresheners. Practice good furniture and carpet hygiene - have your carpets and upholstery professionally cleaned once every two to three years. Call Carpet Cleaning San Antonio at 210-858-9124 we can help with all you home cleaning and business cleaning needs.